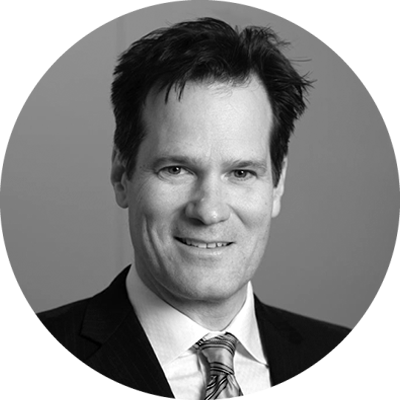 After several years of practicing at a large firm in Toronto, Gordon Marsden joined Will Davidson LLP in 2013. Gordon received his BA from University of Toronto, an MA from Concordia University and his LLB from Queens University. Gordon has accrued significant experience in defending claims of professional negligence against engineers, insurance brokers, financial advisors, home inspectors, police officers and medical professionals as well as acting in actions arising from product liability and property damage. Since being called to the bar in 2003, Gordon has developed a broad based practice in civil and commercial litigation. He has assisted senior counsel in conducting trials (and conducted his own trials) in actions arising from personal injuries resulting from motor vehicle accidents, slip and falls, and medical malpractice as well as contract disputes. He has appeared before the Superior Court of Justice and the Court of Appeal. Additionally, Gordon has accrued significant experience in defending claims of professional negligence as against engineers, insurance brokers, financial advisors, home inspectors, police officers and medical professionals as well as acting in actions arising from product liability and property damage. Gordon Marsden spoke at Will Davidson LLP’s seminar “Diversified Litigation Series” on September 22, 2017. He presented the topic of trying a chronic pain case from the plaintiff’s perspective. Gordon Marsden spoke at Will Davidson LLP’s seminar “Anatomy of a Personal Injury Trial: from Jury Selection to Jury Verdict” on September 27, 2018. He presented the examination in chief of the economic loss expert. Gary Will and Gordon Marsden wrote “Opportunities for Litigators: Class Action Proceedings” for the September 2018 edition of The Litigator. Bartlett v. Wellwood, 2019 CarswellOnt 20193 (SCJ). Nixon v. Avery, 2018 CarswellOnt 16595 (SCJ). Ernst v. Northbridge Personal Insurance Corp., 2018 ONCA 339, 2018 CarswellOnt 5277. Hare v. Will Davidson, 2018 ONSC 1974, 2018 CarswellOnt 4914. Belford v. Adamek, 2017 ONSC 6166. Ernst v. Northbridge Personal Insurance Corp., 2017 ONSC 5099, 2017 CarswellOnt 13619. Beaumont v. Lewis, 2017 ONSC 4258, 2017 CarswellOnt 10705. 1588444 Ontario Ltd. v. State Farm Fire and Casualty Co., 2017 ONCA 42, 2017 CarswellOnt 369. Crider v Nguyen, November 10, 2016, denying leave to appeal. Crider v. Nguyen, 2016 ONSC 4400, 2016 CarswellOnt 10632. Da Silva v. 2162095 Ontario Ltd., 2016 ONSC 2069, 2016 CarswellOnt 7324. 1588444 Ontario v. State Farm, 2016 ONSC 1132, 2016 CarswellOnt 21804.